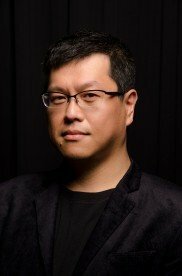 Koji Nakano (b. August, 1974) is a Japanese composer. He was born in Japan and educated in Boston, The Hague, and San Diego. Nakano has been recognized as one of the major voices among Asian composers of his generation. His work strives to merge Western and Eastern musical traditions, and reflects the relationship between beauty, form and imperfection through the formality of music. Nakano received his Bachelor’s Degree in composition with distinction, and Master’s Degree in composition with academic honors and distinction, Pi Kappa Lambda, from the New England Conservatory of Music in Boston, where he studied with Lee Hyla and John Harbison. Later, he studied with Dutch composer Louis Andriessen in Amsterdam and at the Royal Conservatory of Hague as the Japanese Government Overseas Study Program Artist. Nakano received his Ph.D. in composition from the University of California at San Diego, where he studied with Chinary Ung. In addition to being the recipient of The American Artists and Museum Professionals in Asia Fellowship from the Asian Cultural Council, Nakano is also the first recipient of the Toru Takemitsu Award in Composition from the Japan Society of Boston awarded annually to the most talented young composer in the Boston area. In 2008, he became the first composer to receive the S&R Washington Award Grand Prize from the S&R Foundation, which is awarded annually to the most talented young artist for his/her contributions to U.S.- Japanese relations. “In my recent works, I am particularly interested in experimenting with how one musical culture translates into another one. In such a process, there is no perfect transcription of my own music and so I must recreate everything from scratch, except the original musical architecture. Time Song V: Mandala will be based on the musical structure of my previous pieces, Worldspace I for amplified (Chinese) Pipa and Pre-recorded Sounds and Worldscape II for amplified (Thai) Jahke and Pre-recorded Sounds. ‘To reflect on the human condition,’ I will further expand the musical form and some of ideas from Worldspace I & II to go beyond my own physical and spiritual limitation. I will also use Mandala, the religious chart and geometric pattern of both Hinduism and Buddhism, as the focal point to get into my own inner and outer world of equilibrium.